That’s why we’re proud to provide artificial grass for schools, nurseries and play areas making it easier for kids to get outside and get some healthy exercise; all year round. With our artificial grass, education providers can be proud of an outstanding, outdoor activity space with none of the hassle! With our artificial grass, you can transform tarmacked or concrete spaces into fabulous grassy play areas in the blink of an eye. Along with our fantastic range of artificial grass that are perfectly suitable for educational environments, we have a range of products including shock absorbent pads, coloured artificial grass, which is great for sensory areas, and sports surfaces. Playing outside was one of the best things about being in a kid so let’s encourage the kids of today to get more active! 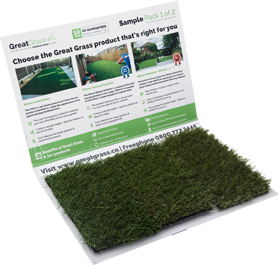 Contact us today to enquire about our long lasting artificial grass 0161 685 0071.